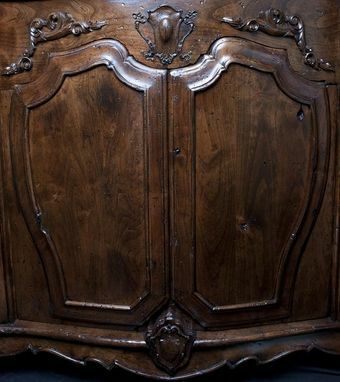 Commissioned to make a Formal Vanity for a new spanish style home. This vanity was made of Alder wood. 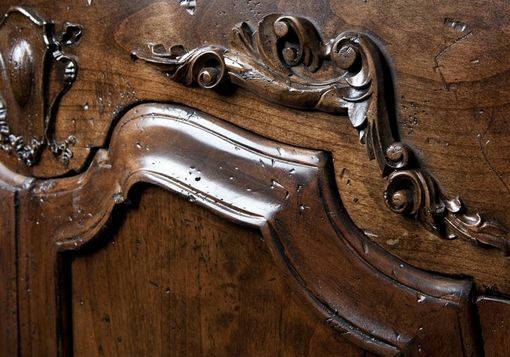 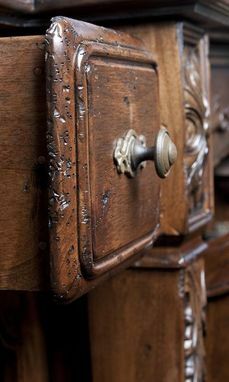 This project was distressed to look very old. 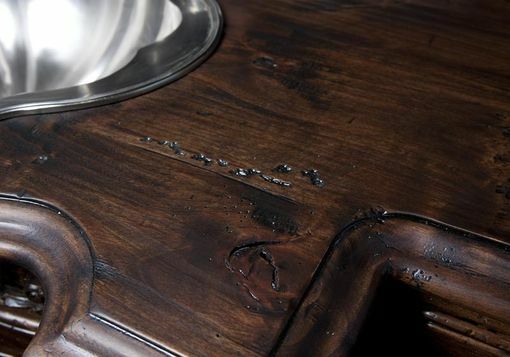 The counter top is made of reclaimed wood. 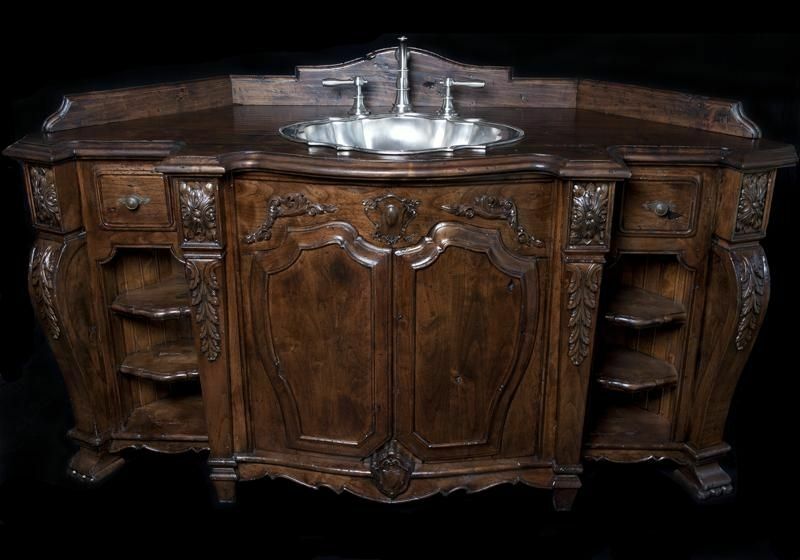 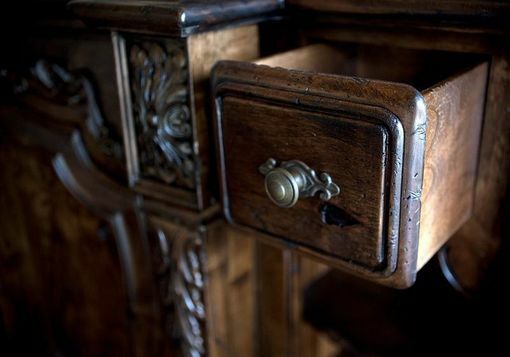 Hand carved detailing makes this vanity truly unique.